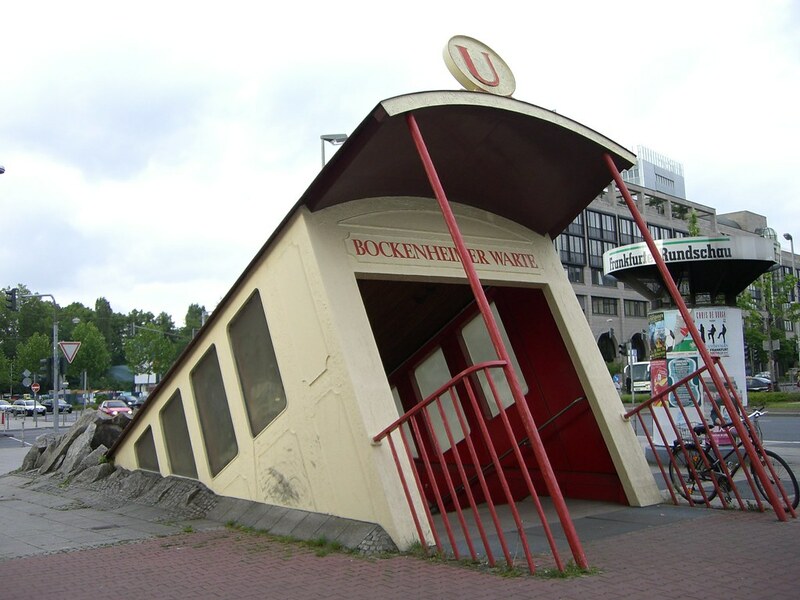 Located in the city center of Frankfurt, Germany is the subway entrance to Bockenheimer Warte, one of the four major stations with interchanges on the Frankfurt Metro. The station was originally built in 1986 with a recent expansion completed in 2001. It is situated right by Goethe-University. 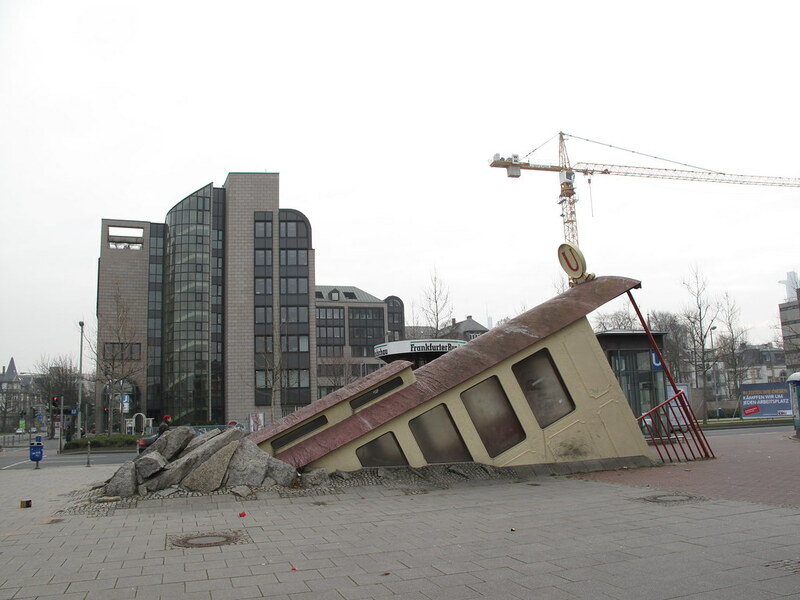 At this particular entrance and old tramway car appears to be bursting out from the concrete sidewalk. You can even check it out on Google Maps Street View where even more images are available!